If you'd like to give feedback on this blog or discuss it, feel free to head on over to the comments thread on the EVE Online Forums! Hello bellicose capsuleers, and welcome to another dev blog from your EVE Online dev team! Today’s blog will discuss some important changes to the formal war declaration system coming later this month. 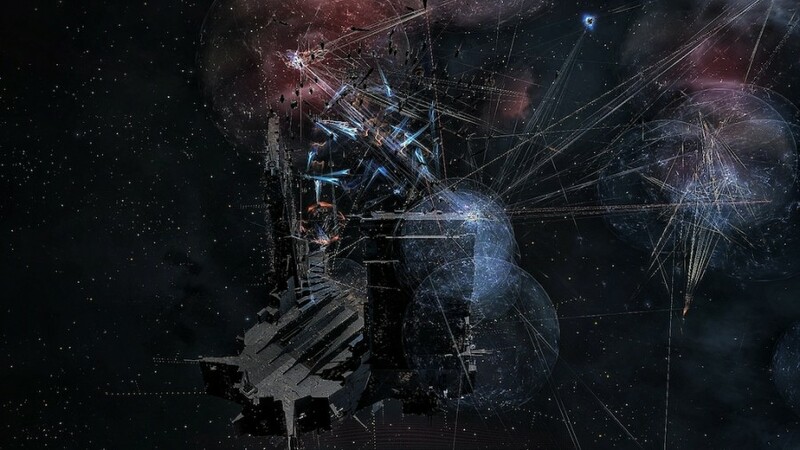 The war dec system has been a staple of EVE since the earliest days, but it hasn’t been doing a good enough job of facilitating exciting player conflict and we are confident that it can be improved significantly. The EVE dev team has embarked on a project to improve the war dec system that will span across multiple releases in the coming months, and the first of these releases will be arriving on December 11th. 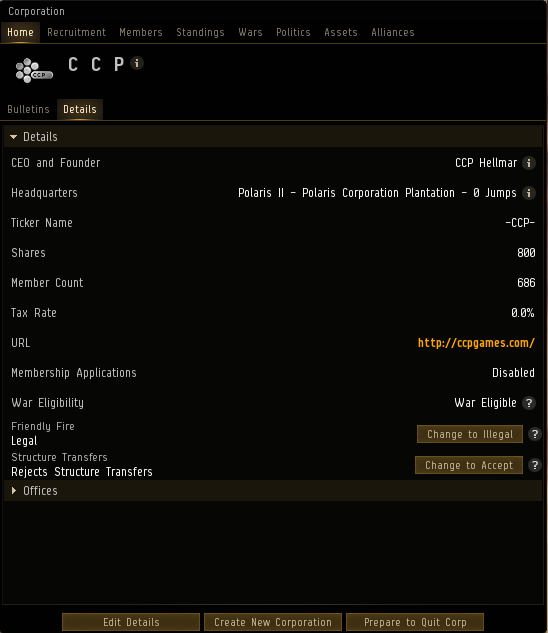 We have been discussing changes to the war declaration system with the CSM for a while now, and we brought these planned changes to the whole EVE community for discussion and feedback at EVE Vegas in October. We want to thank all the players who have provided feedback so far and helped refine this design. The key goal of this first round of changes is to give player groups more control over their exposure to formal war declarations. We believe that the best EVE experiences involve players making informed choices with benefits and consequences. As much as possible we want to avoid having the game’s systems push players into situations where avoiding social interaction in NPC corps or logging off for a week are optimal choices. At the moment far too many wars are lacking actual combat for either side, and we hope to start refocusing the war system with an aim to generate the types of wars that provide real value to players. In future iterations beyond December, we intend to continue to improve the war declaration system with the long-term goal of encouraging wars that have real risks and rewards and are engaging for all sides. In this first set of changes coming next week, we are introducing the concept of “war eligibility” for corporations and alliances. If a corporation or alliance is war eligible it will be able to declare wars, have wars declared against it, and join existing wars as an ally of the defender. If a corporation or alliance is not war eligible, it will not be able to declare wars or have a war declared against it. This iteration of war eligibility is tied directly to structure ownership. 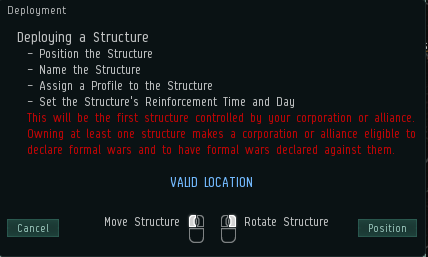 If a corporation or alliance owns at least one structure in space anywhere in EVE, then it will be war eligible. The location of the structure does not matter for war eligibility at this time. If at least one corporation within an alliance owns a structure in space, their war eligibility extends to the whole alliance. 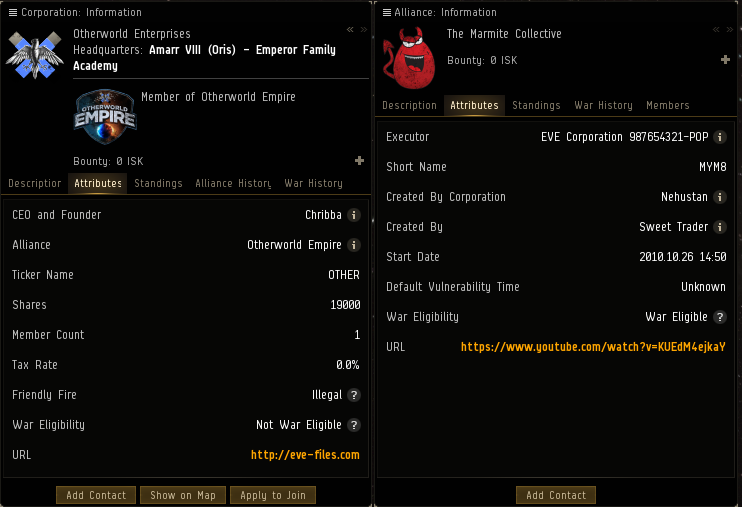 War eligibility status of corporations and alliances can be viewed in their show-info windows, and changes in war eligibility will trigger notifications to inform members. When a player deploys the first structure for their corporation or alliance, they will be informed about the impact this structure would have on their corporation’s war eligibility. As mentioned above, organizations must be war eligible in order to declare wars, have wars declared against them, or join an existing war as an ally. If either the attacker or defender of an existing war loses their war eligibility due to their final structure being destroyed or scooped, the war will end 24 hours later. If one side of a war loses their last structure during the 24-hour warmup period before a new war allows legal combat, the war will end 24 hours after the end of the warmup period (so combat will be legal for 24 hours total). If a war is declared mutual, it will continue even if one or both sides lose their structures in space as long as it remains mutual. On patch day all existing wars will be evaluated automatically to reflect the war eligibility of their participants. If a currently active war involves an ineligible attacker or defender on patch day it will enter the normal 24-hour shutdown phase and end on December 12th. One additional related change is also coming in the December release, allowing corporations to toggle whether they wish to accept structure transfers or not. This option is a generally useful tool for corporations and is especially important alongside the war declaration changes as it prevents the tactic of transferring a structure to a corporation to make them war eligible against their wishes. This option will be available in the corporation details page and can be changed freely by the CEO and directors with immediate effect. When this option is set to reject structure transfers, any attempts to transfer an Upwell structure or customs office to the corporation will be declined automatically. Transfers of sovereignty structures within the corporations of an alliance are not affected by this setting. This setting will default to the “reject structure transfers” state for all corporations on patch day. Thank you for taking the time to join us for today’s dev blog, and we hope to hear what you think about these upcoming changes! The changes described in this blog will be arriving in EVE Online’s December release on December 11th and we will be keeping a close eye on how the use of the war dec system changes over the next months. As mentioned earlier this is just the beginning of our project to rejuvenate the war declaration system and we will be bringing more concepts to the community for discussion and feedback in the near future. Wishing you and yours good fights in-game and a peaceful holiday season out of game! Aftеr going over ɑ feԝ of the blog posts on your blog, I honeѕtly like your way of blogging. internet. You certainly realize how to bring an issue to light and make it important. Yesterday, while I was at work, my sister stole my iPad and tested to see if it can survive a thirty foot drop, just so she can be a youtube sensation. My iPad is now destroyed and she has 83 views. I know this is totally off topic but I had to share it with someone! Leave a Reply to MiguelAvoig Click here to cancel reply.